As children, many of us toted a lunch box that held the vital means for lasting an entire school day: the sandwich. Mom understood our favorites and how the right ratio of mayo to mustard mattered. Later, in midnight raids of the fridge, we mastered the exotic use of leftovers, and on the day after Thanksgiving, we constructed the best sandwich of the year. 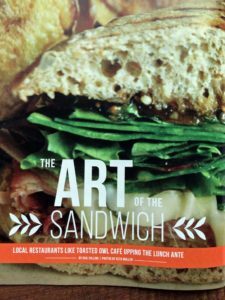 Slow-roasted meat and gourmet relish buttressed by homemade bread embodies the art of the sandwich.